Several men were blessed by Joseph and the three witnesses, including Brigham Young, and Heber C. Kimball, that they would “see the Saviour come and stand on the Earth with power and great glory,” and “live until the gathering was accomplished.” Brigham Young was blessed to “go forth and gather the Elect preparatory to the great day of the coming of the Lord” (Minutes, Kirtland, Ohio, 14–15 Feb. 1835; handwriting of Warren Cowdery; in Minute Book 1, pp. 147–154; CHL.). Just two years before, Smith prophesied (again by way of commandment) that “by the authority of Jesus Christ” that “not many years shall pass away” before the wicked “of this generation” will be swept from off the face of the land and the Lost Ten Tribes will be gathered to Missouri, and that “there are those now living upon the earth whose eyes shall not be closed in death until they see all these things, which I have spoken, fulfilled.” He exhorts all to “flee to Zion, before the “overflowing scourge overtake you” (History of the Church, 1:315-316). In 1843 Smith stated that “were I going to prophecy I would prophecy the end will not come in 1844 or 5 or 6 or 40 years more there are those of the rising generation who shall not taste death till Christ comes” (Joseph Smith Diary, April 6, 1843, see also, History of the Church, 5:336). Why does Orson Hyde speak of treason? Because they believed that the United States was to be broken up and Brigham Young would be installed as President (Journal of Discourses, Vol. 5, p. 219). In 1857, Wilford Woodruff records Brigham Young saying about then President Buchanan, “I should not wonder if we heard he was dead soon” (Wilford Woodruff Journal, Vol. 5, p. 72). “1857 will be the year on histories page which will be dated the Commencement of the downfall of the United States.” He then states, “the Judgments of God will now begin to rest more fully upon that Nation and will be increased upon them year by year untill they are broaken up and wasted away from under Heaven and Cease to become a Nation. And this Calamity will begin to Come spedily upon them. And they will be visited with thunder, lightning, storm, whirl winds Earthquakes floods, pestilence plagues, war and Devouring fire and the wicked will slay the wicked untill the Nation is wasted away and broaken up” (Wilford Woodruff Journal, Vol. 5, p. 145). Having been charged with being “vague” and “indefinite,” Pratt writes that he hopes with the giving of this prophecy that critics “will no more complain of the jargon of the Mormon Prophets being unintelligible or indefinite” (Pratt, op. cited above). There are many more such “prophecies” by Mormon “prophets, seers & revelators” that all attest to the fact that those born in Joseph Smith’s time, would live to see the Second Coming, that the United States would be swiftly destroyed, and that the “Mormon Elders” would step up and “save the Constitution.” The America that Mormon “prophets” foresaw however, is not the America that has come to be, and with a Mormon being seriously considered as the next President of the United States, it may be well to take heed of their failed vision of America from the not too distant past. How Well Do You Know Mormon Church Leaders of the Past? This entry was posted in Early Mormonism, Mormon History and tagged Joseph Smith, Orson Hyde, Parley P. Pratt, revelation, Second Coming, United States, Wilford Woodruff. Bookmark the permalink. as this summer a well known radio “pastor ” predicted some serious world events to take place. scriptures. May we hold on to sound doctrine— 1Tim 4:6 ; 2Tim :15-19 . I am going to claim to be a prophet and say, I predict that many of the mormons who read this post will first throw the Bible under the bus and claim the Bible is filled with failed prophecy’s. That is how they will handle this topic. Then I will predict that many will either not reply to this topic as is the norm with many strong topics that expose the LDS as false. And I will predict also if LDS read this they may say, well we will not mention the Bible being “flawed” so we can come back later and say, Rick was wrong. See that is what false prophets do, they find a way to give them selves an “Out” if nothing happens and they put it back on the People. If any of you can get a hold of Wilford Woodruff’s Journals, I would highly recommend reading them. This collection, found here for a modest $90.00, ( http://www.utlm.org/booklist/titles/newmormonstudiescdrom_xc001.htm ) is full of great resources and many diaries and journals that gives one a unique perspective into early Mormonism. I actually think that Mormons will put this into the “doesn’t count” file because they only follow the living prophet. The world ending was simply Joseph Smith’s “opinion.” This seems to be the norm where past prophets are concerned. Of course all the faith promoting stuff that was said by past prophets is absolutely correct. Not the weird or outlandish stuff though. Hmmm. I wonder if this is where the LDS get the idea that Mitt Romney needs to become President. To save our country and Constitution? I agree with Kate. It’s very strange how the LDS will champion the words of their prophets, but if something is strange or goes against current doctrine, it’s quickly dismissed as irrelevant. Interestingly enough, this practice of continuing to believe in prophets/groups who give failed prophecies isn’t limited to the LDS. From what I understand both the Jehovah’s Witnesses and the Seveth-Day Adventist have failed end-time prophecies as well. Once the prophecy fails, a new excuse is given. With Joseph Smith, this is just another feather in the hat of his suspicious behavior that goes unrecognized. I had a conversation with some Mormons about that Parley P. Pratt prophecy and they did exactly what you describe. Funny though, every single prophecy from the Bible that they tried to debunk as being unfulfilled or in some cases false (which I still find hard to believe), was hailed as “fulfilled” by lds.org. They quoted from atheist sites to try and bolster their claims, and denigrated the Bible so much, that I had a hard time believing that I was speaking to people claiming to be Christians. It is the same prophet Joseph Smith who falsely prophesied the return of Christ in the 1800’s who also wrote the Book of Mormon. Someone who has been shown to give false testimony of God should not and cannot be trusted in any revelation. This is one reason among many why I reject the BOM and Mormonism. 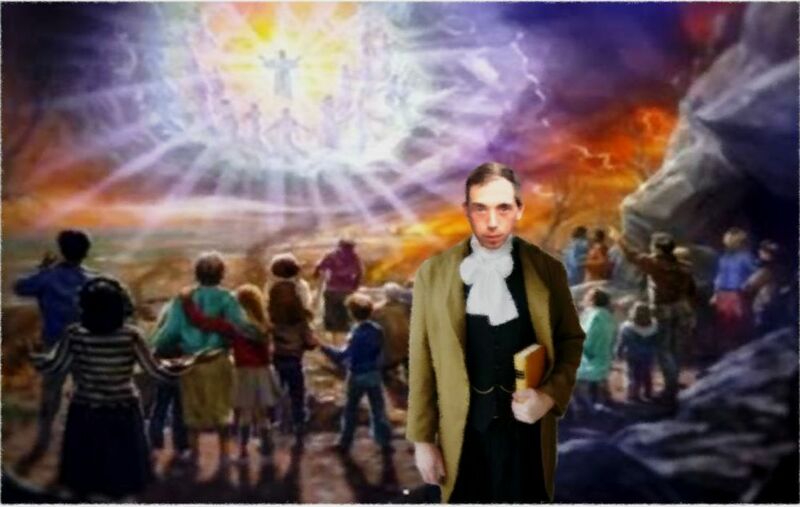 Joseph Smith wrote in the spirit of his age – a time when people expected the soon return of Christ (I think this may be true of every generation), when dietary rules were popular (word of wisdom), and when the future of the U.S. seemed uncertain (thus his prophesies). Joseph Smith could not see the future, he wrote and spoke out of his own flawed reasoning and attributed it falsely to God. Joseph Smith used his role of “prophet” to try an clarify issues such as baptism (I remember first reading this passage in the BOM and realizing how false and transparent Joseph Smith seemed with his precise prescription he wrote up on the correct mode of baptism). The Mormon prophets repeatedly have shown themselves untrustworthy. There is One we can trust – the Lord Jesus Christ established his Church and said that Satan would never overcome it – and then He sent the Holy Spirit to sustain His Church. There is no need for a restoration, and a character like Joseph Smith has shown he will certainly not lead you into truth. I had a conversation with a Mormon friend about this sort of thing, in conjunction with the Deuteronomy verses about knowing a false prophet — the one that says that any prophet who prophesies something that doesn’t come to pass is a false prophet. My friend completely sidestepped the issue in both cases. One of the JS prophecies I brought up was the one above and the other was the Civil War prophecy. Both are black and white (to me) and clearly state that JS said, this will happen at this time. And neither did. She basically told me that he didn’t give exact dates and because he said “was nigh” didn’t mean it was in his lifetime, etc. And she said the Civil War one wasn’t a prophecy because the “thus saith the Lord” or whatever he used (I don’t have it in front of me) was referring to something earlier on that DID happen and not to the Civil Ward stuff which was later and just his “opinion” or “best guess.” It completely boggles my mind how they can explain things like this away. She also told me that faith isn’t logical or based in fact, that’s why it’s faith. I couldn’t even believe it. If you notice that when it comes to topics like this, the Mormons for the most part never reply. Honestly how can they? They know the prophets got it wrong, so first they tend to throw the Bible under the Bus, They really cannot argue with topics like this, thats why we never see replys from them. But then take a topic like, JS killed 3 people in jail and they will argue that tooth and nail. Sadly it does not effect salvation or prove God’s word True or false if JS killed someone or not, or if they sing praise to the man in their hyms. Who cares? Yet they argue those things to the death. The topics that prove they have a false prophets and sadly show they dont know Jesus and will spend eternity apart from Him as a result, they tend to remain silent on them. But honestly how can you refute the facts, the other topics are simply debate as nothing more than mere opinion. and witness for Jesus can have a significant impact on her life, the Holy Spirit can see to that . So keep on the firing line ! spiritual issues, have these men been inconsistent, erratic, in other areas of importance ? I keep saying this over and over but will say it again in case their are people that missed it before. I notice a serious lack of replies from Mormons over topics like this, yet the mormons are never short on telling us how wrong we are. How can you honestly tell us we have no clue and are wrong about Mormonism, but yet never answer the questions of how or why did your prophet(s) get so much so wrong. Then it leads to, where is the Love of Christ? You tell us we are wrong, but offer no evidence of how we are wrong, or and answers that will set us free. How is that being Christ like? We claim Mormons follow a man not Jesus, Mormons Claim they follow Jesus and not a man, But unlike Jesus Men dodge and cover up things, This is also what Mormons do, so it seems to me they follow a man and not Jesus since the Mormons example lays this out to be true. Very fine research you have shared with us, Johnny. Thanks. Some in this forum have made an observation about our LDS friends. When presented with information similar to what Johnny has shared, they will react in various ways. In almost any way to avoid the following conclusion: prophesying falsely makes one a false prophet. Why the avoidance? If an LDS person looses modern-day prophets, with what are they left? I think the conclusion drawn would have to be they have nothing, and are lost. Think for a moment how devastating that would be. We have many fine LDS people who visit this forum. Some like to observe; others observe and write. Perhaps some are reading this message right now. They have been told they were special; worthy. They were told by men they were righteous. Yet God proclaimed long ago that there is none righteous (Romans 3:10). Think what that means. The word judgment takes on an altogether different cast. Do you wonder how you will fare? You need not wonder; the verdict is already in. You are “condemned already” (John 3:17-18). The Good News is that God entered his own creation. He was born in a lowly stable. He lived a perfect life. He alone is righteous. His righteousness he offers as a gift to all who will receive it (Romans 5:17). Want to trade in religion for a life-giving relationship with God? Start reading the gospel of John. Read a little each day. Ask God to reveal himself in the pages of his word. Ask God to reveal his love and promises and faithfulness to you. Personally,, I don’t believe that men who aren’t the actual Prophet can making grand sweeping prophecies that don’t relate to the church itself, and so I don’t think the last three “prophecies” hold any weight (Only PP’s could even come close to being called a prophecy the way I read them anyway). So I’ll be dealing only with Joseph Smith’s comments. As I see it the Prophesies fall into or between three categories; The second coming, the end of the country, and gatherings. 15 Joseph, my son, if thou livest until thou art eighty-five years old, thou shalt see the face of the Son of Man; therefore let this suffice, and trouble me no more on this matter. I also prophesy, in the name of the Lord, that Christ will not come in forty years; and if God ever spoke by my mouth, He will not come in that length of time. Brethren, when you go home, write this down, that it may be remembered. Jesus Christ never did reveal to any man the precise time that He would come. Go and read the scriptures, and you cannot find anything that specifies the exact hour He would come; and all that say so are false teachers. Seeing that I’ve never heard of a mass uproar from saints when Jesus didn’t come in 1890 I can only assume that most took these words to heart. And now I am prepared to say by the authority of Jesus Christ, that not many years shall pass away before the United States shall present such a scene of bloodshed as has not a parallel in the history of our nation; pestilence, hail, famine, and earthquake will sweep the wicked of this generation from off the face of the land, to open and prepare the way for the return of the lost tribes of Israel from the north country. The people of the Lord, those who have complied with the requirements of the new covenant, have already commenced gathering together to Zion, which is in the state of Missouri; therefore I declare unto you the warning which the Lord has commanded to declare unto this generation, remembering that the eyes of my Maker are upon me, and that to him I am accountable for every word I say, wishing nothing worse to my fellow-men than their eternal salvation; therefore, “Fear God, and give glory to Him, for the hour of His judgment is come.” Repent ye, repent ye, and embrace the everlasting covenant, and flee to Zion, before the overflowing scourge overtake you, for there are those now living upon the earth whose eyes shall not be closed in death until they see all these things, which I have spoken, fulfilled. Remember these things; call upon the Lord while He is near, and seek Him while He may be found, is the exhortation of your unworthy servant. (cont)Part one the Saints of the day believed was fulfilled by the US Civil War. I see no need to argue with them since they are the ones that heard the prophecy and then lived through the events. Part two just means the way is being prepared for the return of the ten tribes, not that it must happen in these people‘s lifetime. And again, the gathering of saints in Missouri and there subsequent running to Utah did indeed keep them from feeling most of the horror that was the Civil War. There are several schools of thought on the May 6th 1843 quote about US redress. I personal believe that President Polk paid a sufficient redress by asking for there help in the Mexican-American War (both to show there patriotism to America and giving them money that helped get the saint to Utah) as well as guaranteeing safe travel to Utah. With the price paid the Prophecy was fulfilled. That’s what I’ve got right now. Thanks for listening to little old me, and hope this helps clear up at least the Lds viewpoint on these quotes. A question to those here, if you don’t mind. What do you make of the so called “false prophecies” of Jesus in the bible? I don’t bring this up to change the subject or cast doubt on the bible. I am just curious about what Mainstream Christians have to say about them since we’re talking about the subject. What do you make of the so called “false prophecies” of Jesus in the bible? I dont know any Christian that believe their are false prophecies in the Bible. So can you please tell us what prophecies you are talking about and how you believe they are failures? Thanks. So can you please tell us what prophecies you are talking about and how you believe they are failures? I don’t believe any prophecies from Christ where failures. I was referring to the belief held by many Non-Christians that Jesus and his apostles prophesied that his Second Coming would be within there lifetime. Most point to the parable of the fig tree and talk of the end of days in the Gospels and how at the end Jesus says “Truly I say to you, this generation will not pass away until all things take place.’ (Matthew 24: 25-34 Mark 13:26-30 Luke 21:27-32) They also say that since the high priest at Jesus’ trial didn’t live to see “…the Son of Man sitting at the right hand of power, and coming on the clouds of heaven.“ (Matthew 26: 63-64) that Jesus is a false prophet. There are also many scriptures that seem to show the apostles believed they lived in the end days and Jesus would be coming back in there lifetime. (Hebrews 1:1-2, 1 Corinthians 10:11, Hebrews 10:24-25, 1 John 2:18, 1 Corinthians 7:27,29-31, etc). I have my own personal views on the subject, as does the Lds church I’m sure. I was simply wondering what the Christians here make of these verses? So, just dismissing anything not by Smith is “irrelevant”? Nice dodge. Why are all the apostles of the church called, ordained and set apart as “prophets, seers, and revelators”. Just to have some grand title? I hope you are not that naive. The “rising generation” that Smith spoke of is long gone, and he is a false prophet. And I did mean Lyman Wight, but from a different meeting, who prophesied, while Smith’s hands were on his head, that many present would live to see Christ return. (I’ve clarified this in the blog entry, thanks for catching that). But they did not mean some vague, endure to the end scenario. They meant people that were alive THEN would see Christ come before they died. There are too many references to this, to deny it. “all the govornors & Presidents of the U.S.A Had rejected all our petitions from first to last. That when the Saints were driven from Illinois & perrish as it were on the Prairies then President Polk sends for a draft of 500 men to go into the Army. What for? That they might be wasted, [and we might be] entirely wasted away as A people.” (Wilford Woodruff’s Journal, Vol. 3, p. 240, July 28th, 1847). Jesus said, I told you all things, Then it says, After that Tribulation, So He is telling us about the things to come since the great Tribulation has not come yet. Read all of Matthew 24 and Luke 21, it also talks of the things to come that have not yet happened, so that is part of the problem, your taking only part of what it says. They also say that since the high priest at Jesus’ trial didn’t live to see “…the Son of Man sitting at the right hand of power, and coming on the clouds of heaven.“ (Matthew 26: 63-64) that Jesus is a false prophet. Jesus said, “Hereafter” He was referring to His second coming So this is not a false prophecy as you or some suggest. the Lamanites , or Native Americans , thought to be remnants of Book of Mormon peoples. Mormonism. ” [ In Sacred Loneliness , the Plural wives of Joseph Smith, p.206 ]. available in the New Testament for all to embrace. Where are you? Honestly I hope your gone because your searching hard into the facts and seeing for yourself the LDS church is a counterfeit and is full of false teachers and falls under Gal 1:8-9. I am praying your eyes are opended.